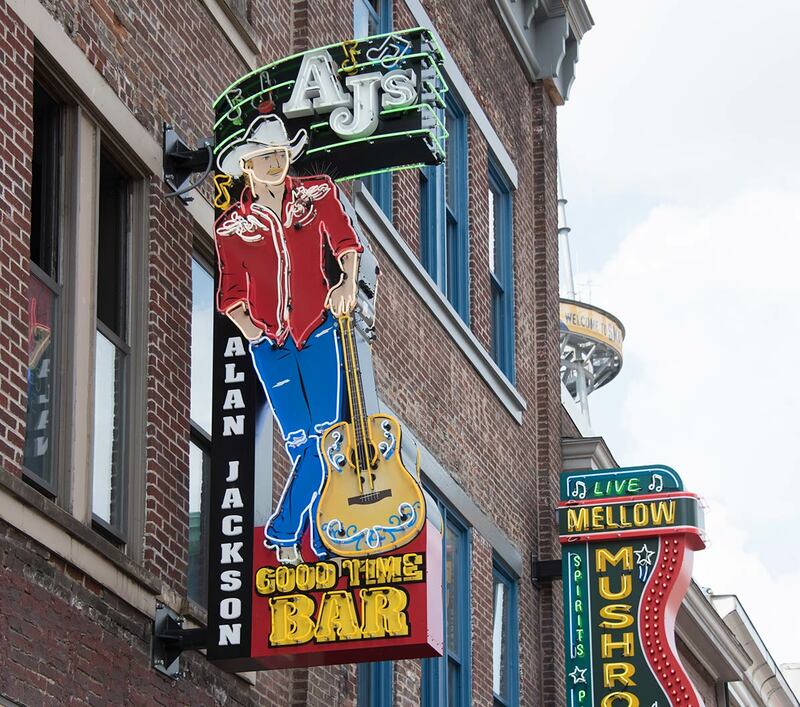 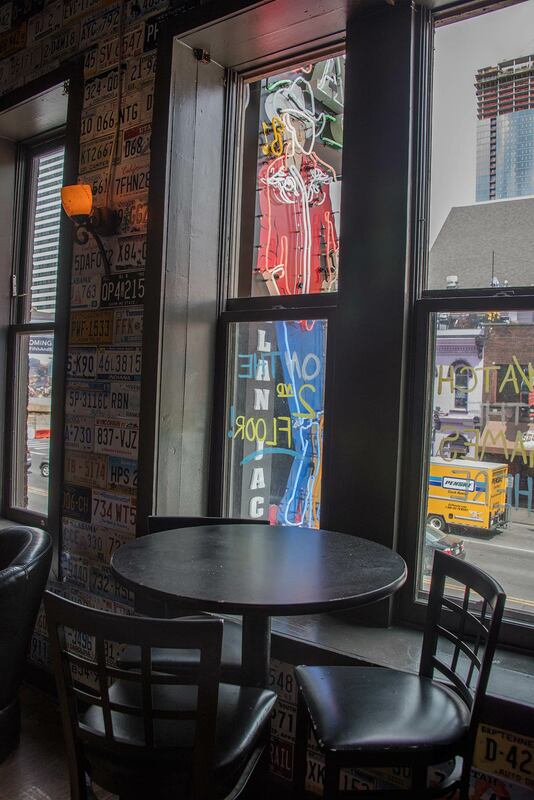 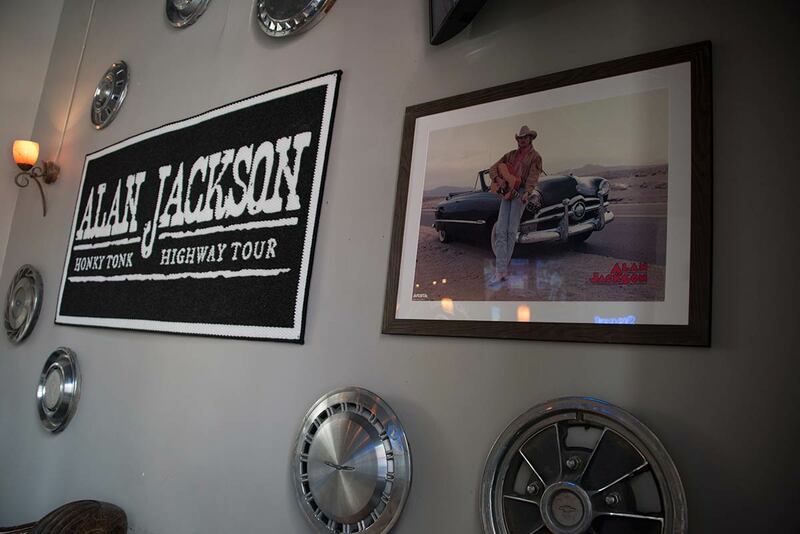 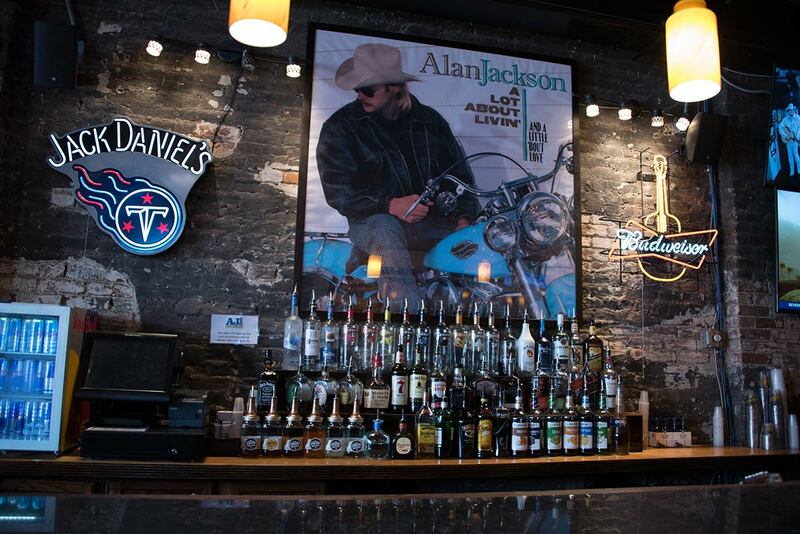 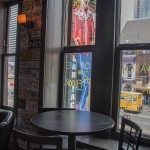 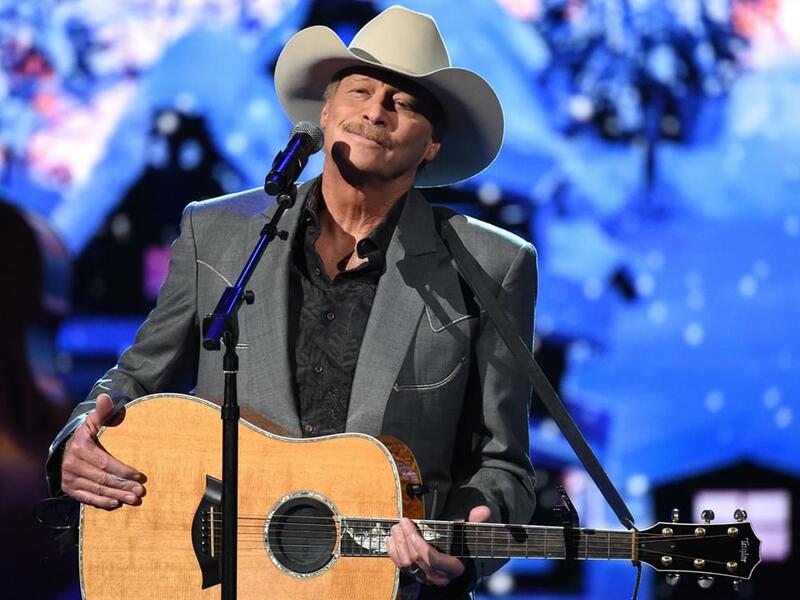 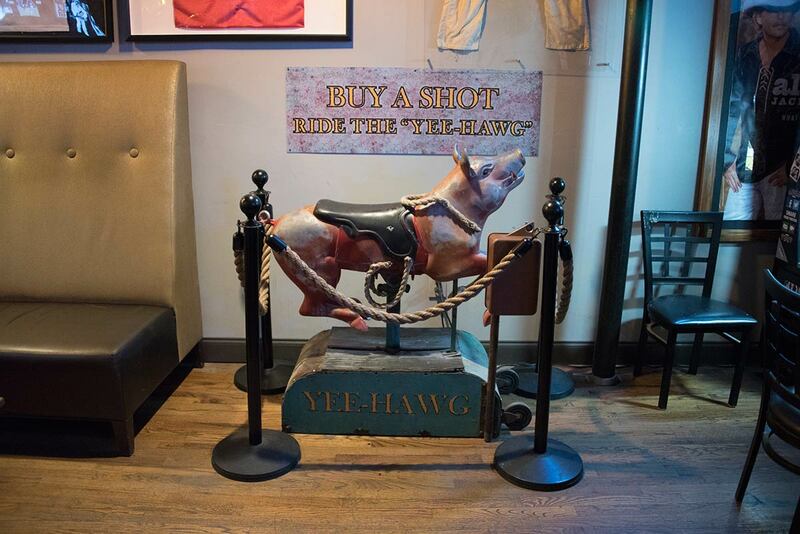 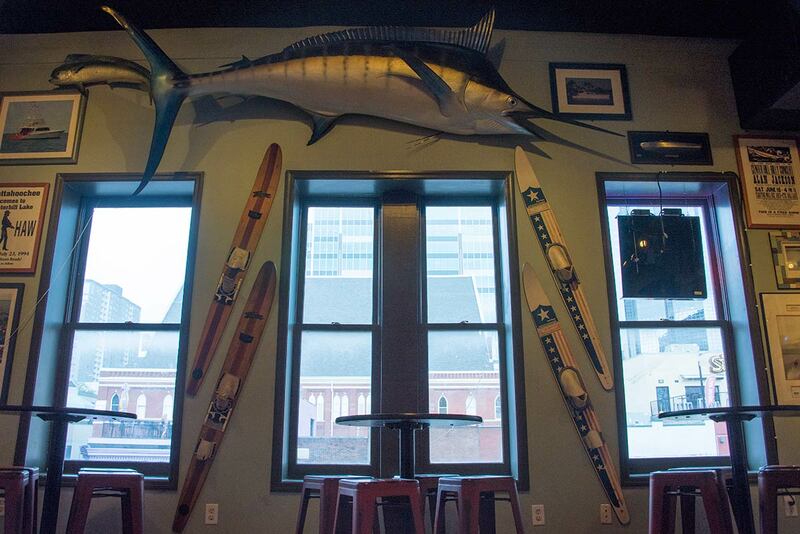 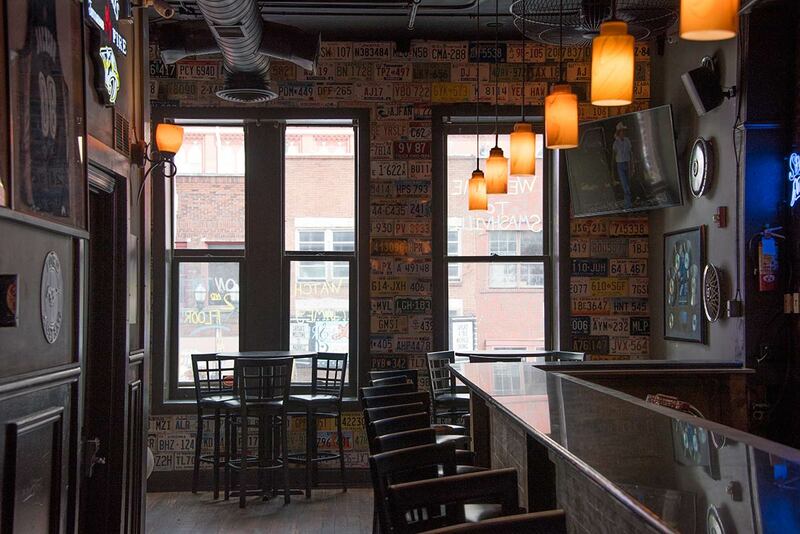 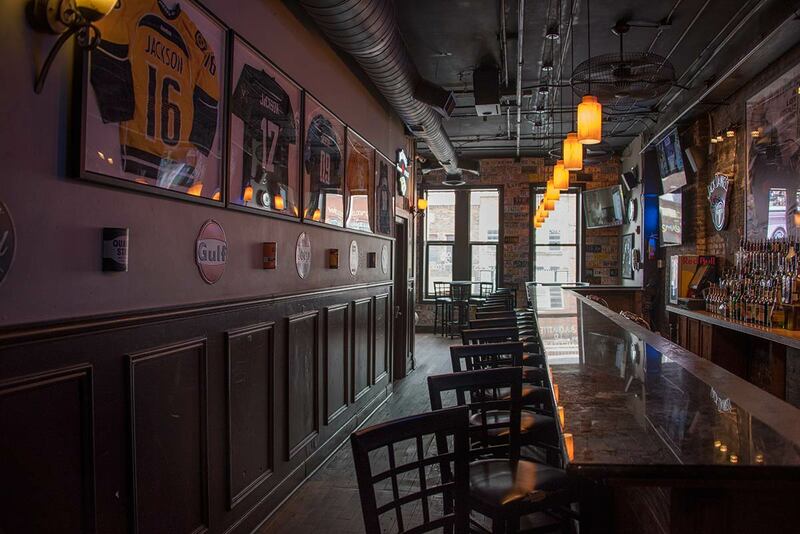 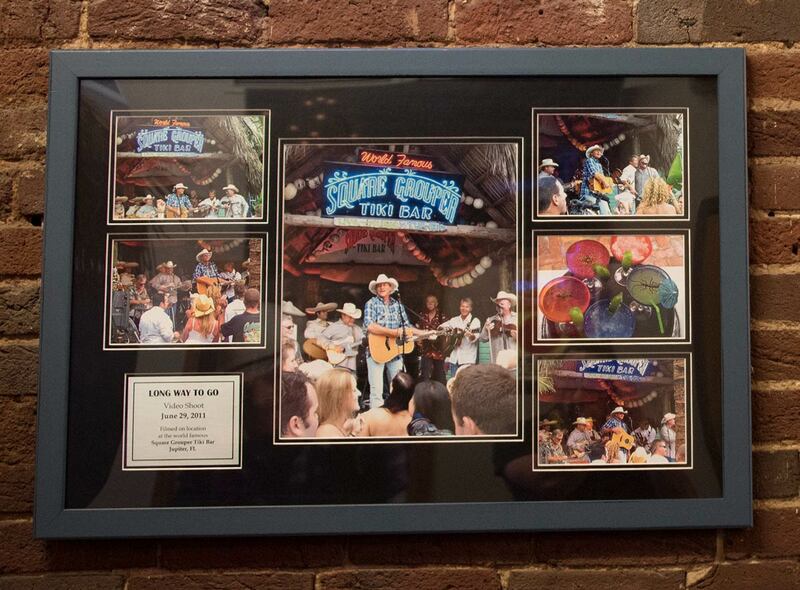 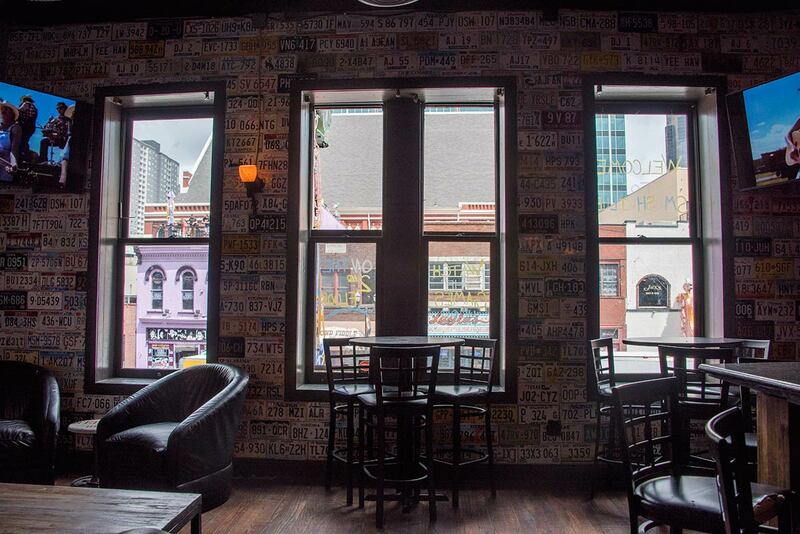 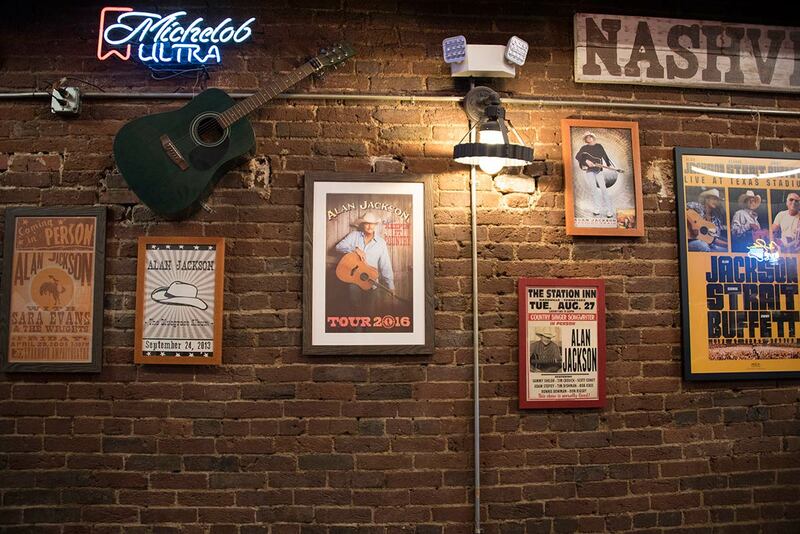 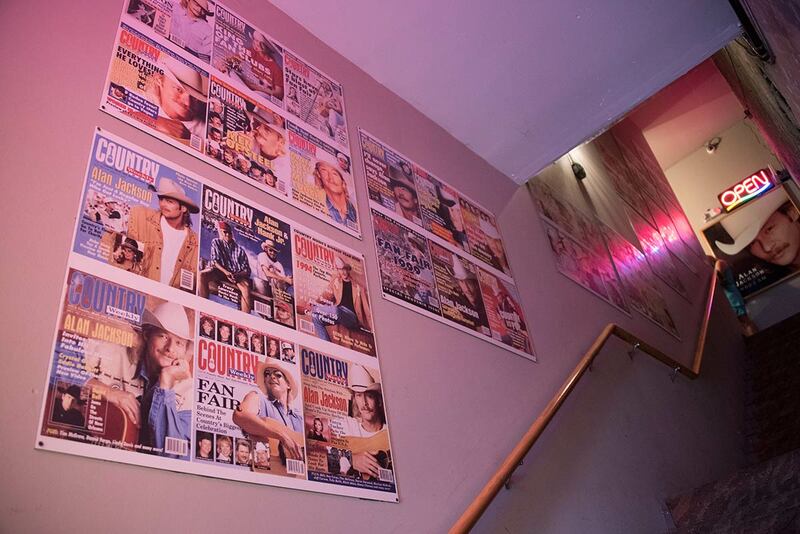 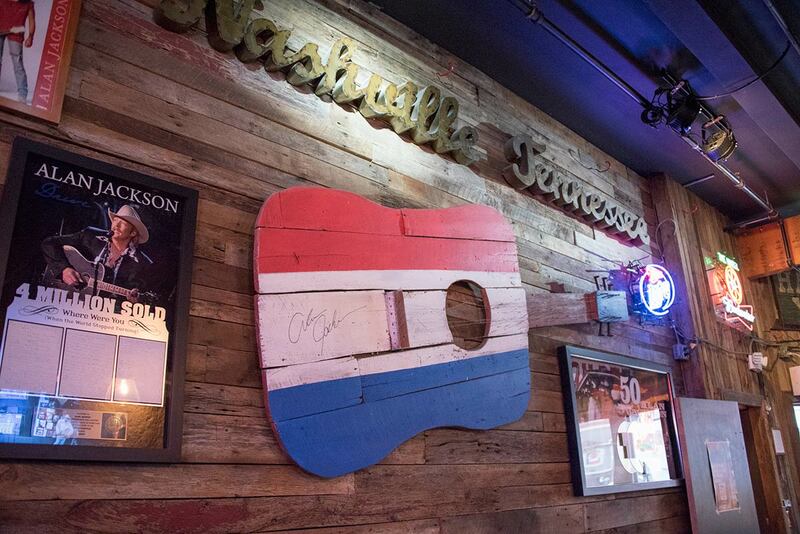 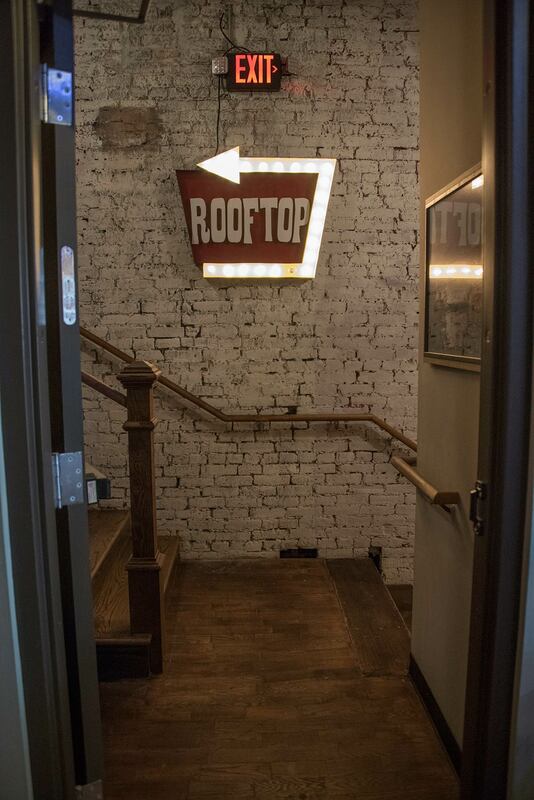 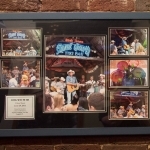 Remember When Trendsetter Alan Jackson Invested in a Lower Broadway Bar in 2014? 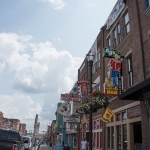 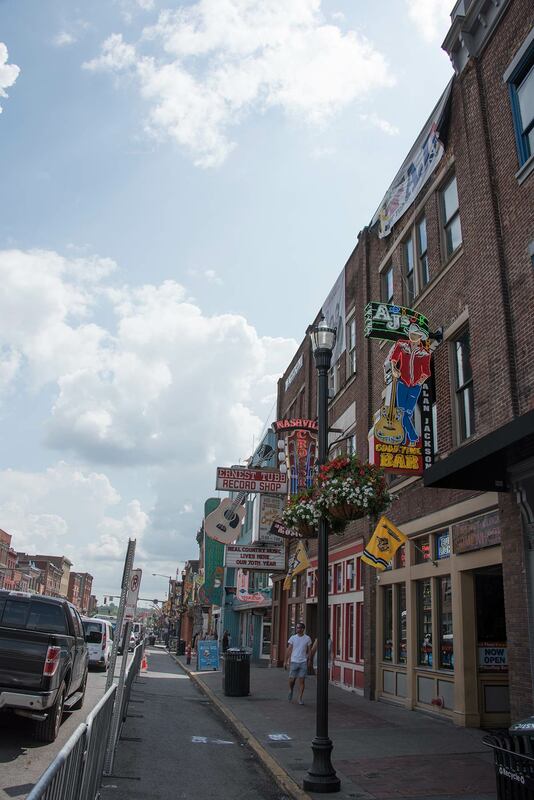 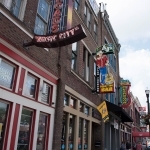 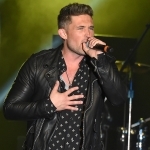 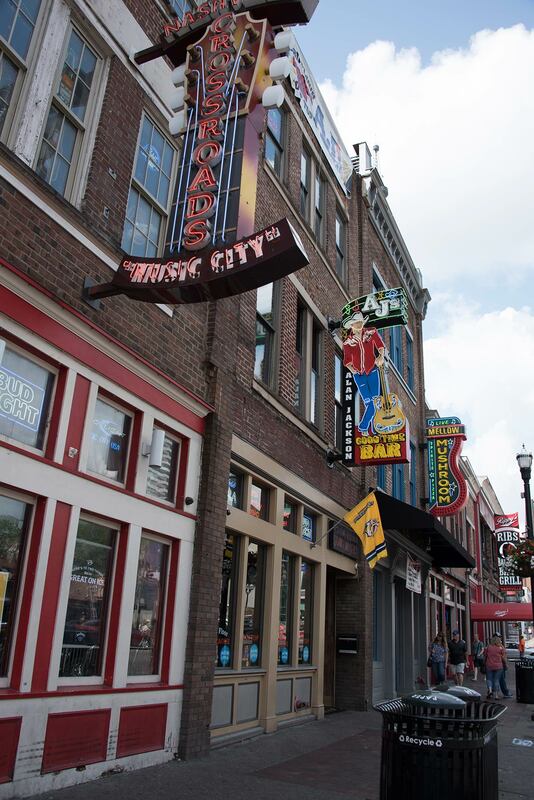 News came down the pike on July 9 that Luke Bryan will be the next country star to open a venue on Nashville’s Lower Broadway. 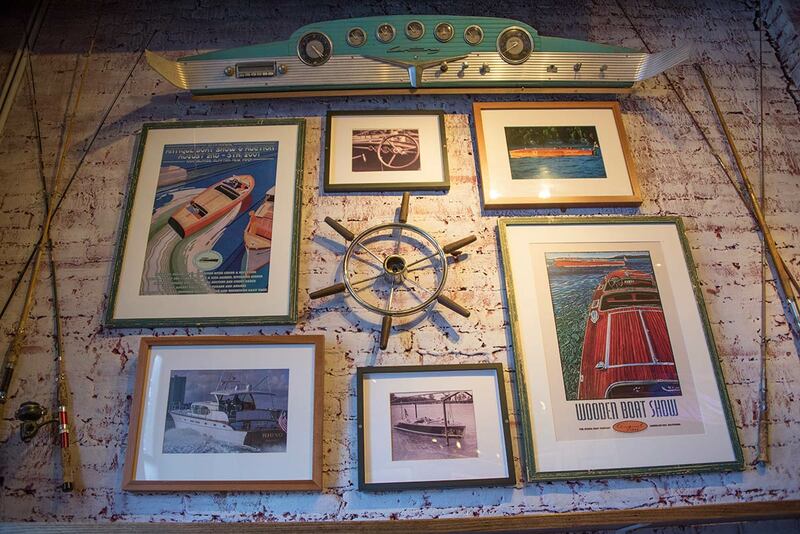 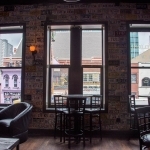 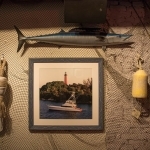 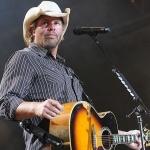 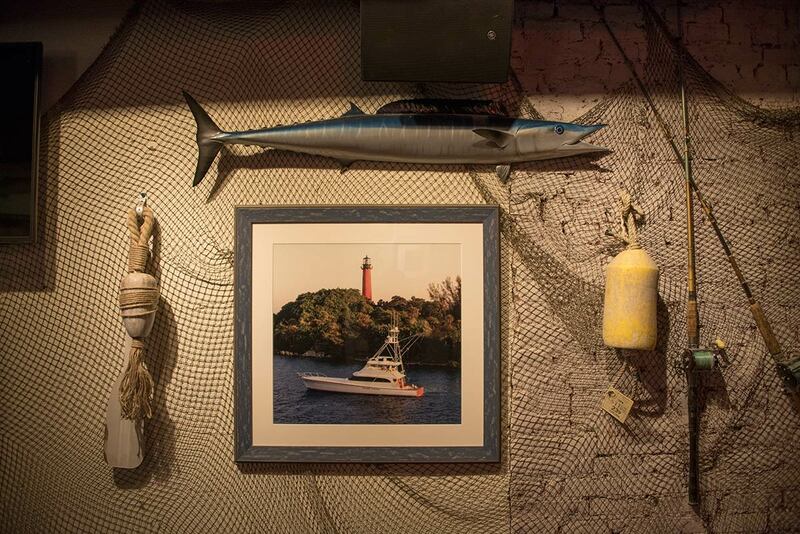 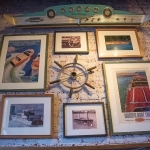 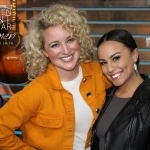 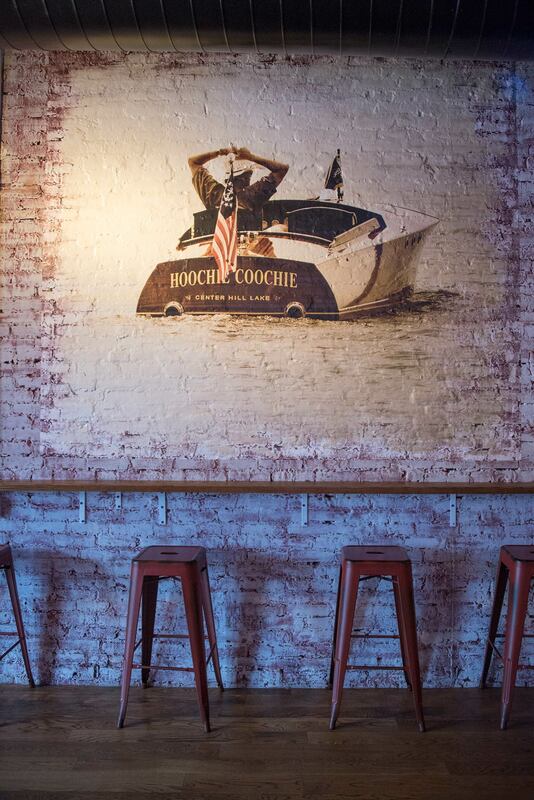 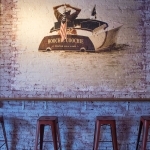 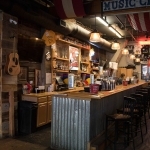 The eventual opening of Luke’s 32 Bridge Kitchen + Drink will follow a number of established artist-invested venues, including Dierks Bentley’s Whiskey Row, Florida Georgia Line’s FGL House, John Rich’s Redneck Riviera, Blake Shelton’s Ole Red and Jason Aldean’s Kitchen + Rooftop Bar. 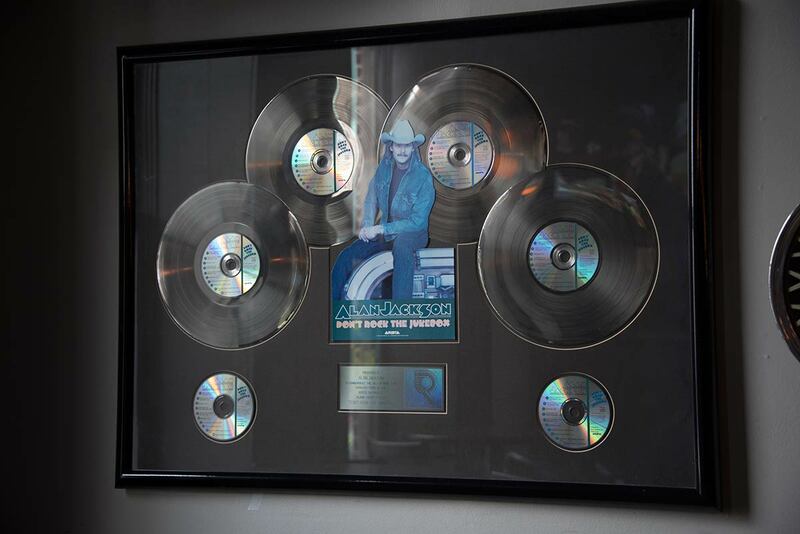 However, trendsetter Alan Jackson really got the ball rolling in 2014 when he became the majority owner of Acme Feed & Seed. 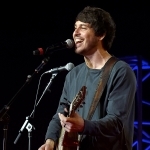 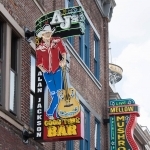 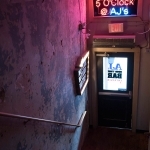 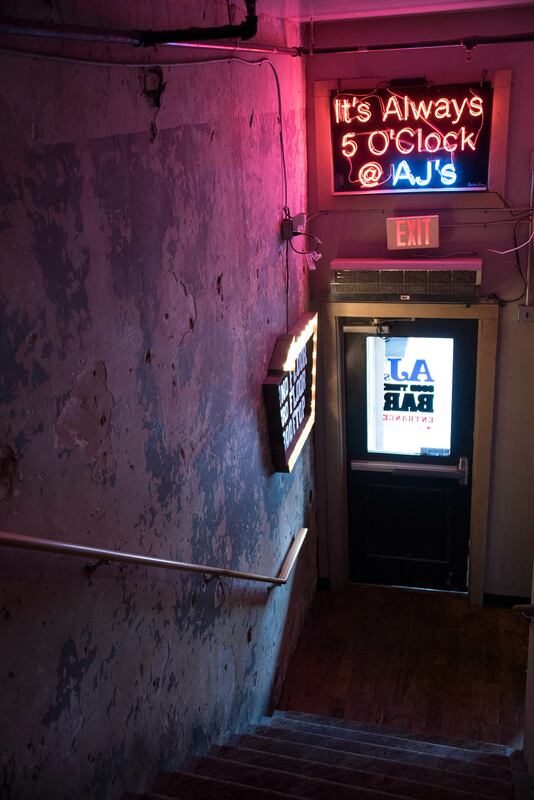 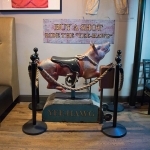 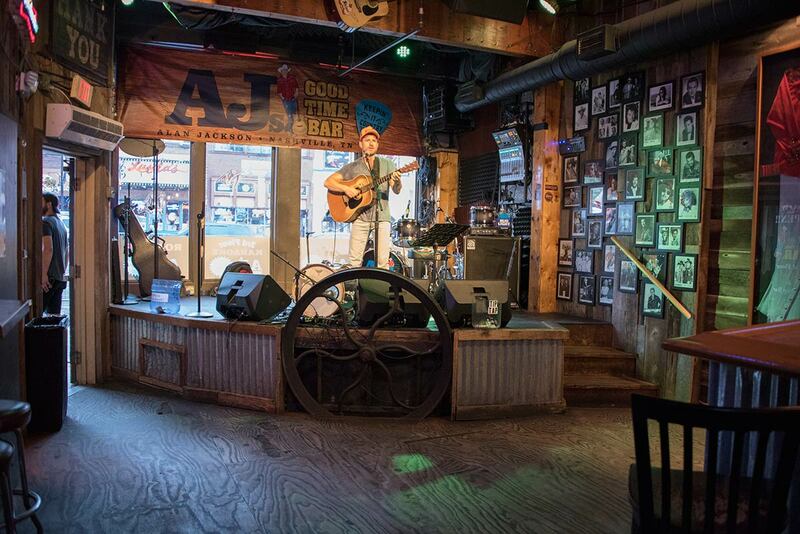 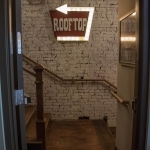 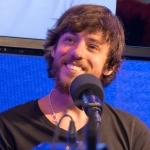 In 2016, Alan opened another Lower Broadway venue, AJ’s Good Time Bar, which is the only venue 100 percent owned by an artist on Lower Broadway. 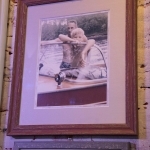 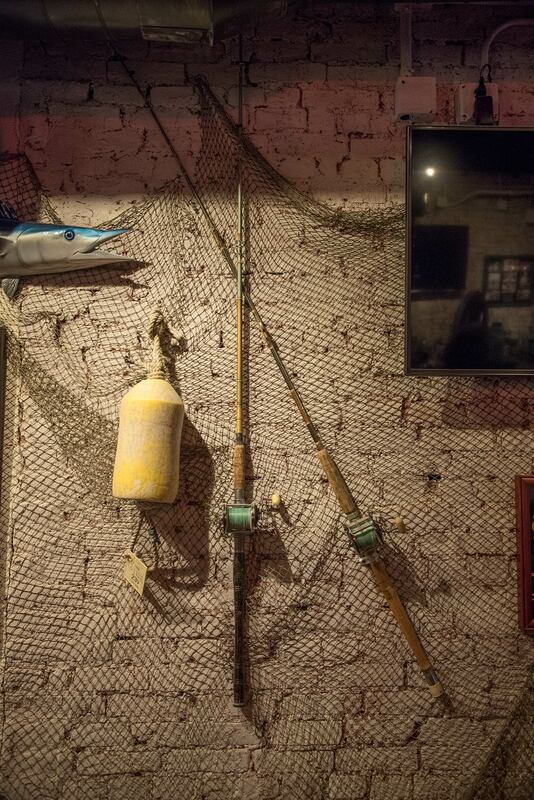 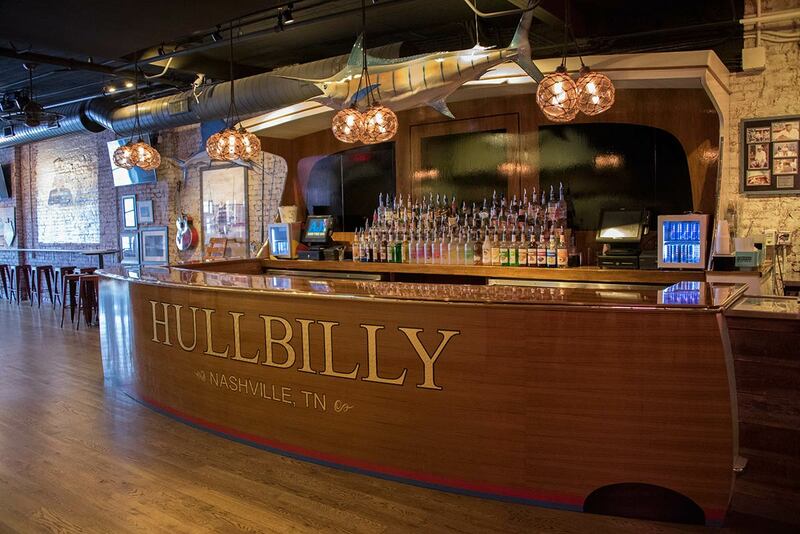 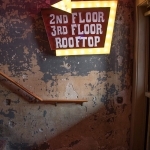 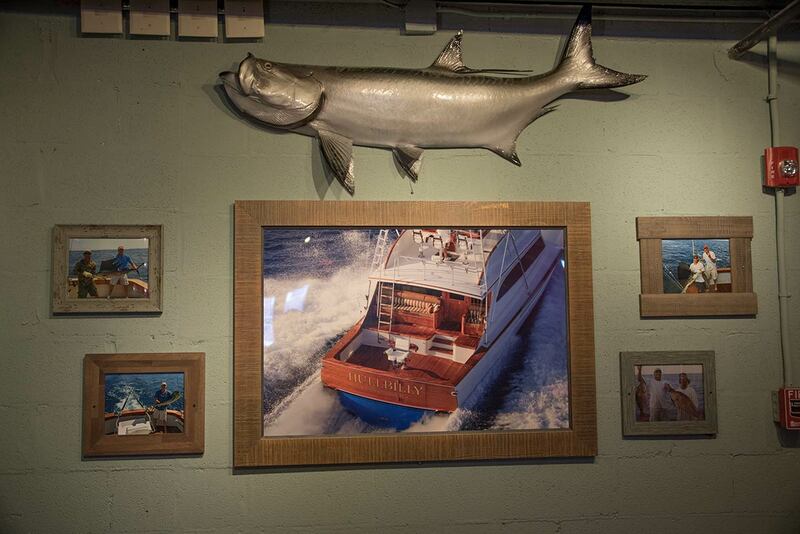 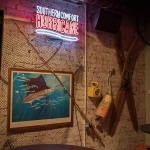 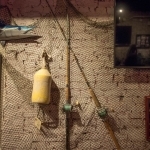 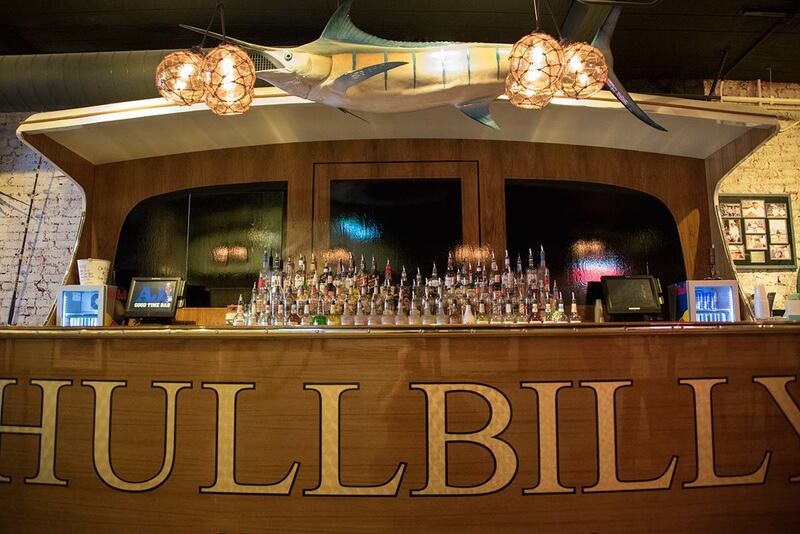 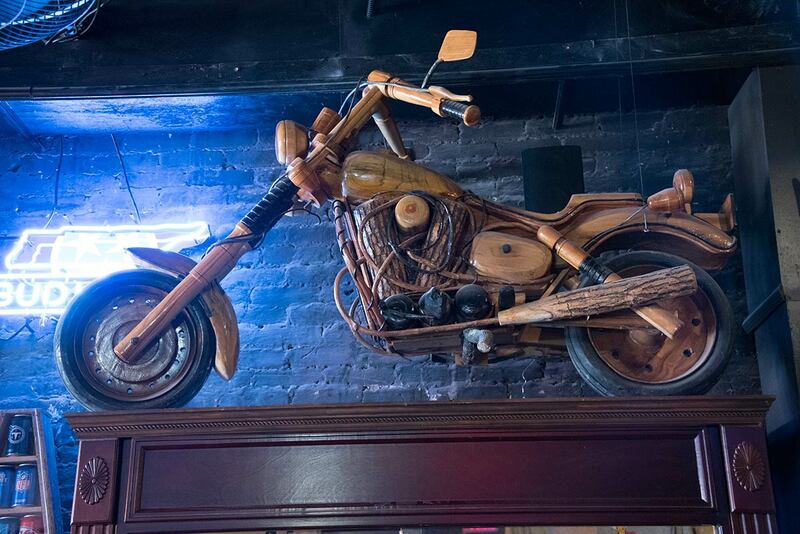 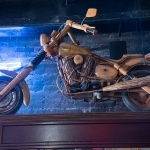 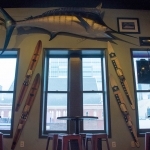 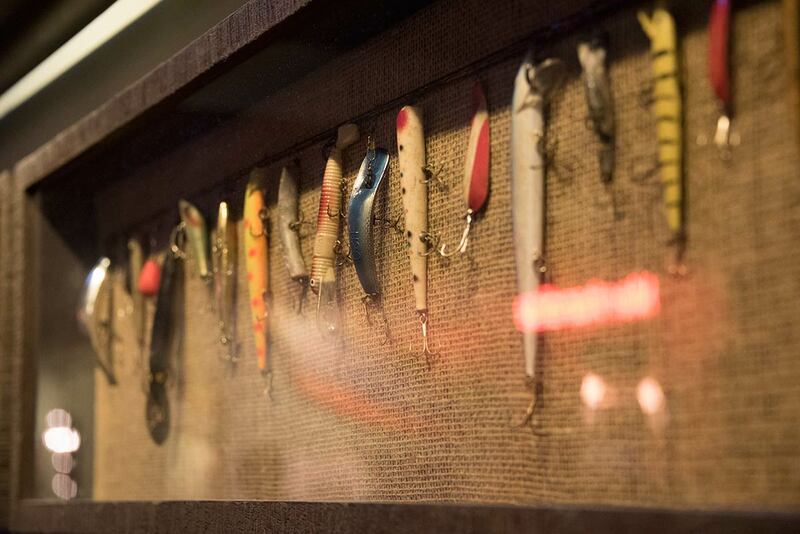 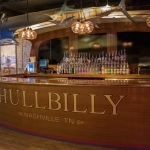 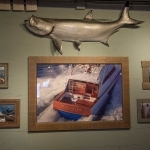 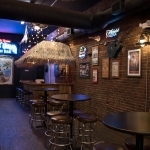 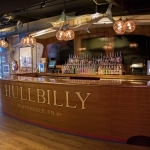 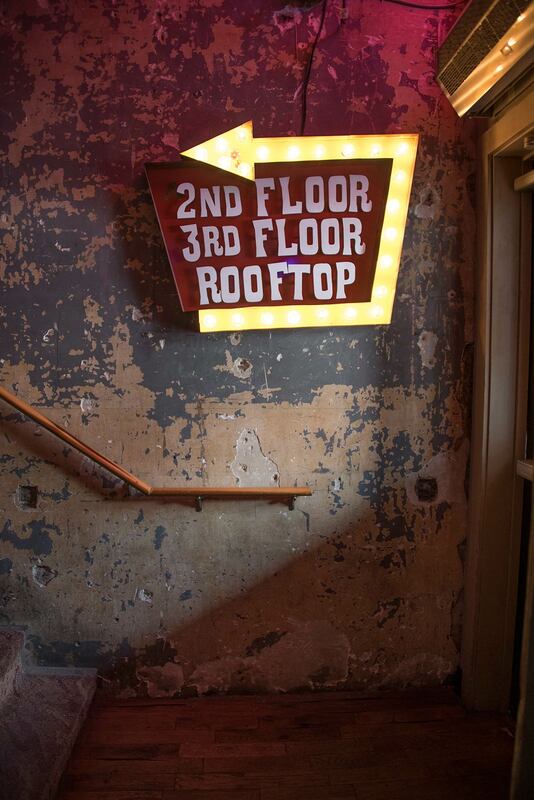 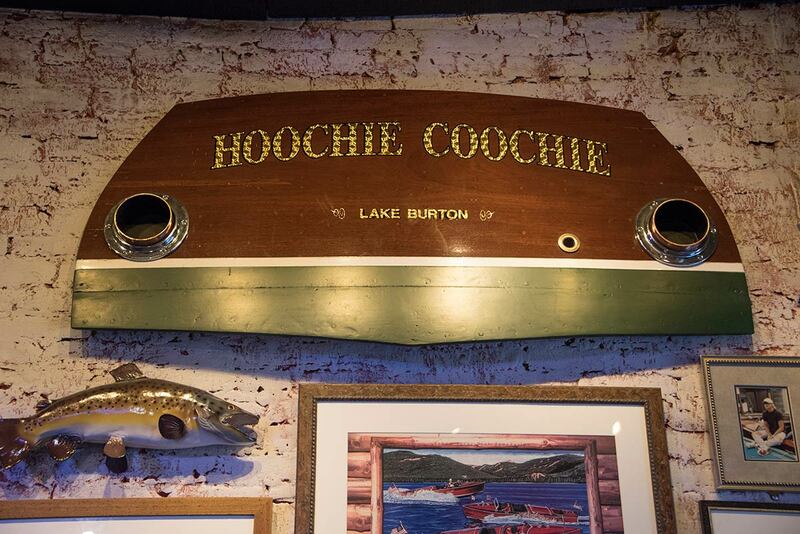 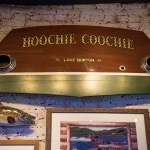 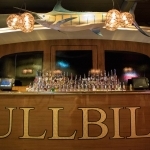 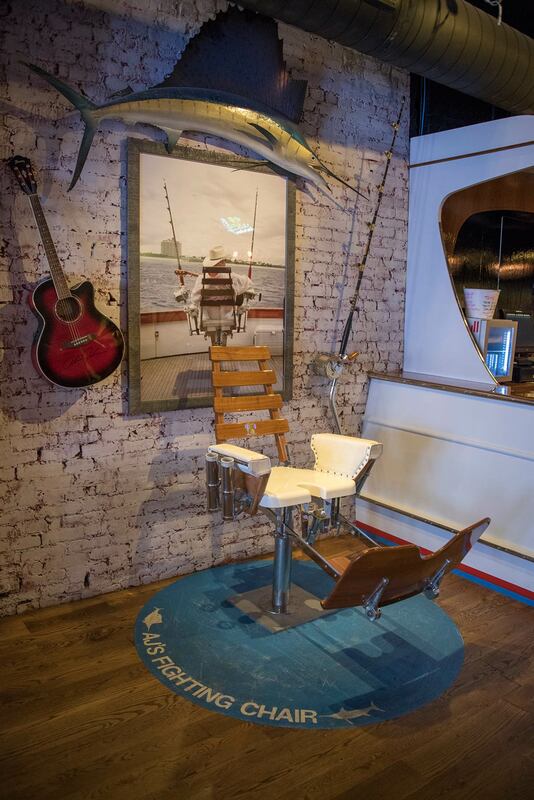 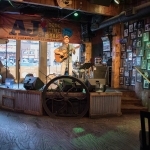 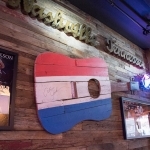 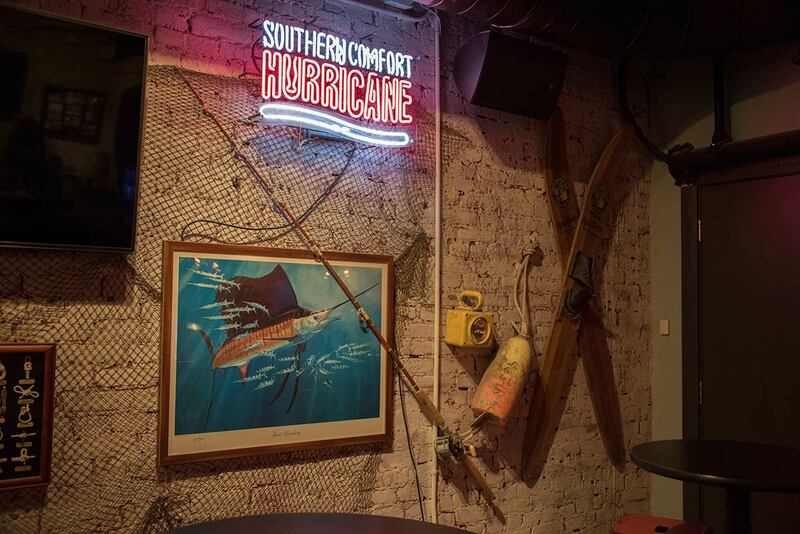 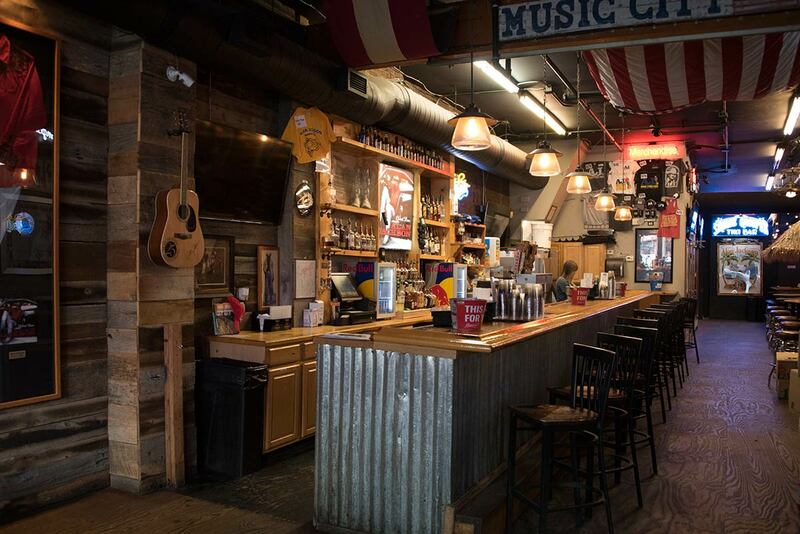 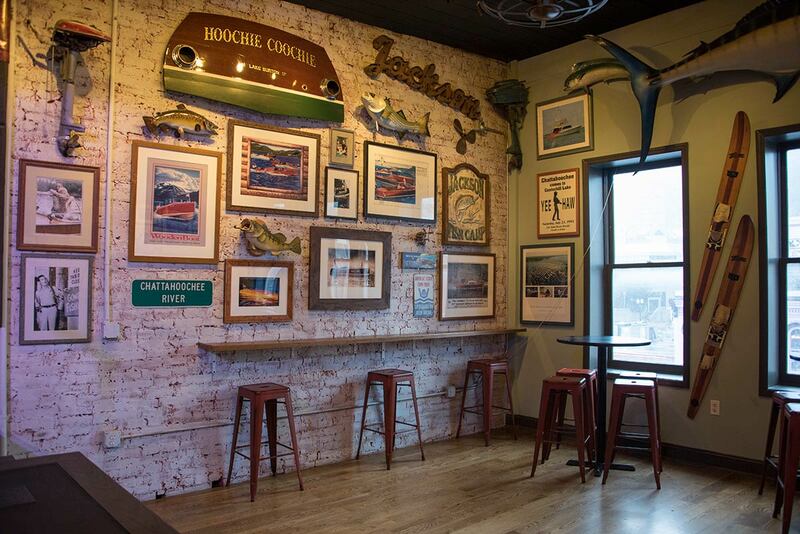 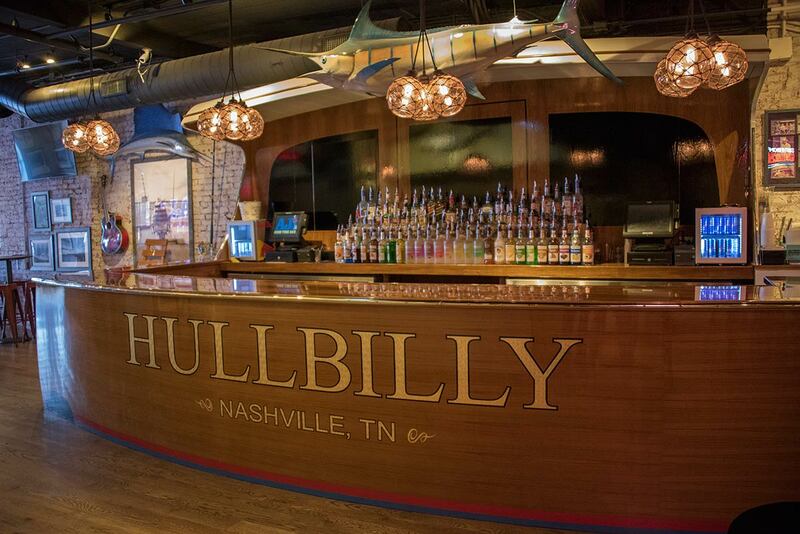 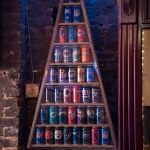 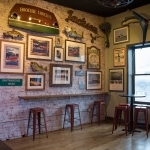 The four-level building boasts more than 6,000-square-feet of good timin’ fun, including a honky-tonk on the first floor, a man cave on the second floor, a fishing-themed third level (the bar is a replica of AJ’s Hullbilly boat from his “5 O’clock Somewhere” video) and a rooftop bar. 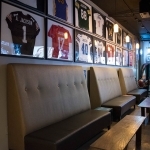 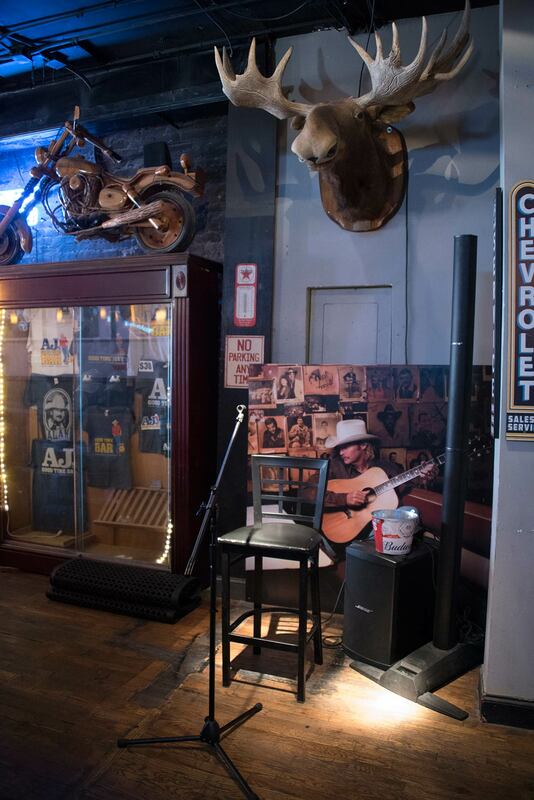 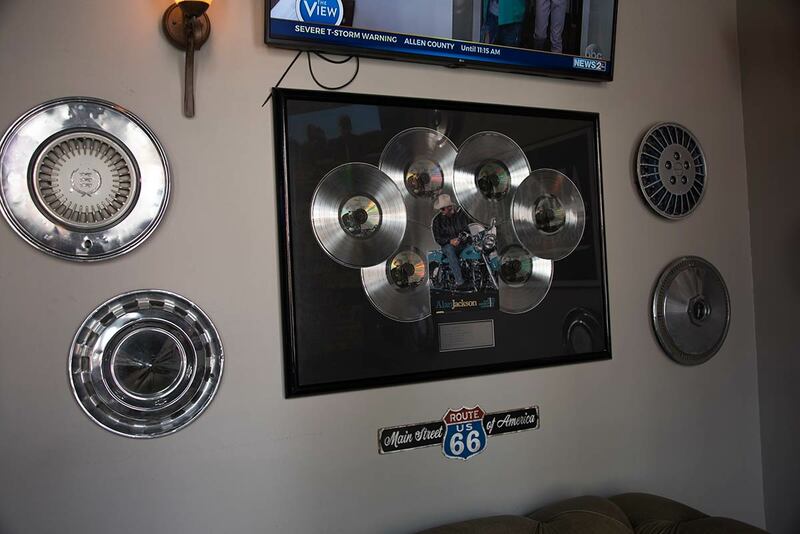 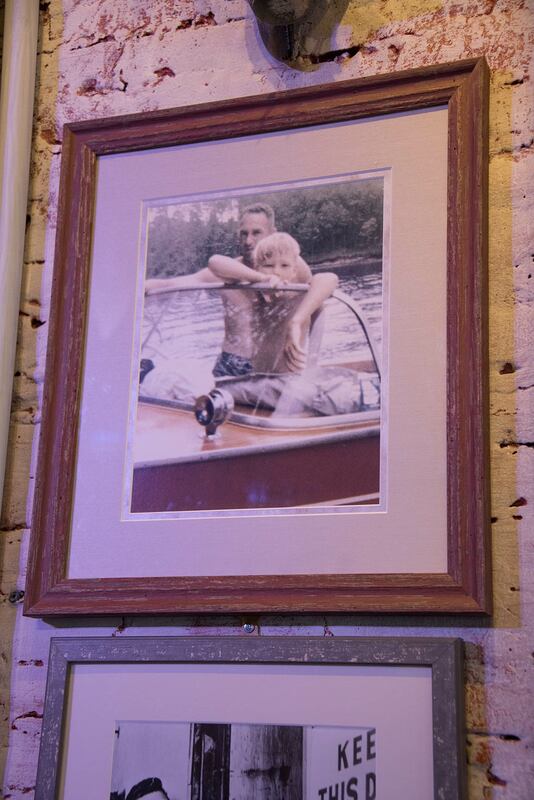 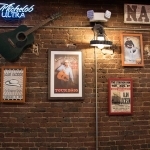 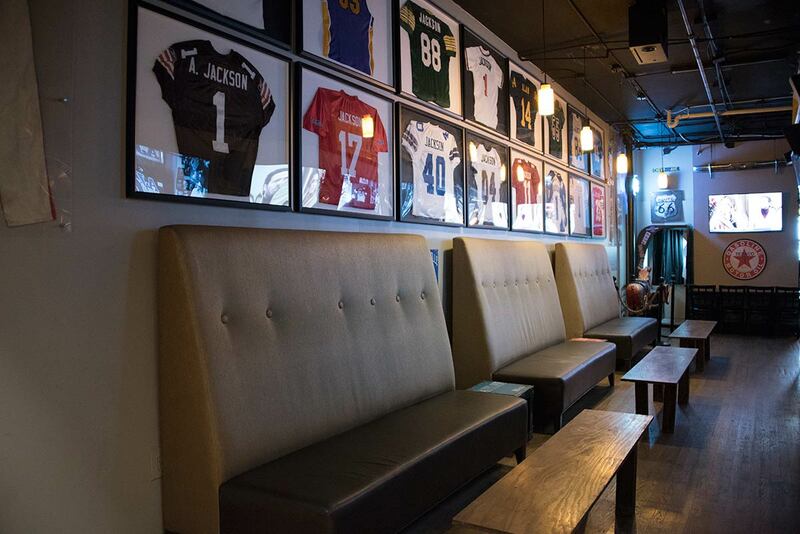 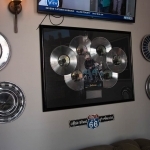 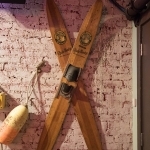 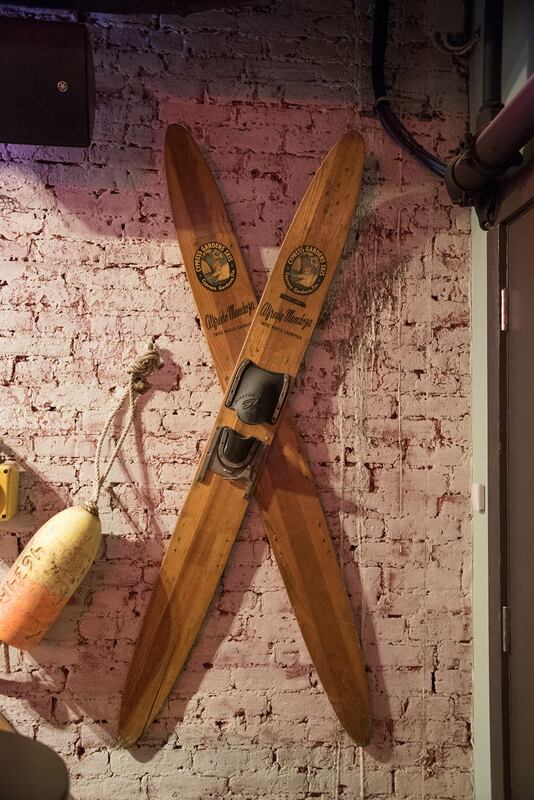 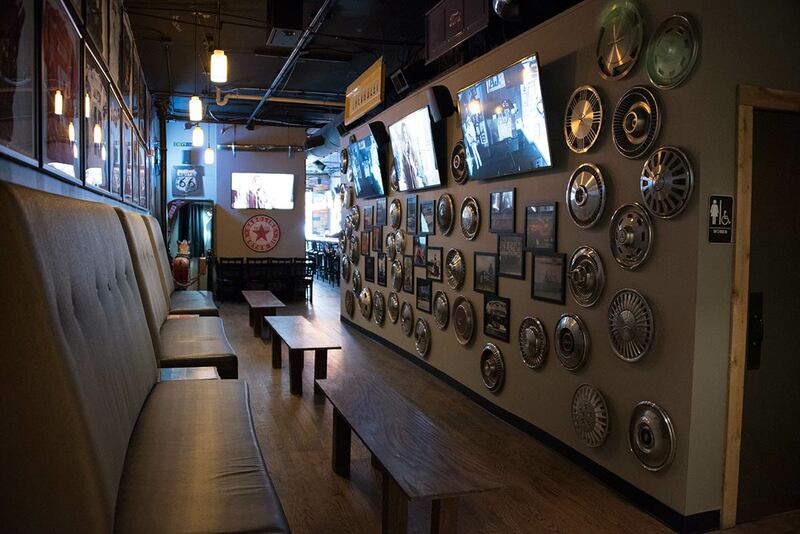 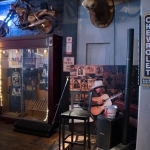 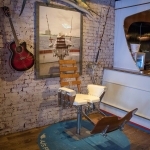 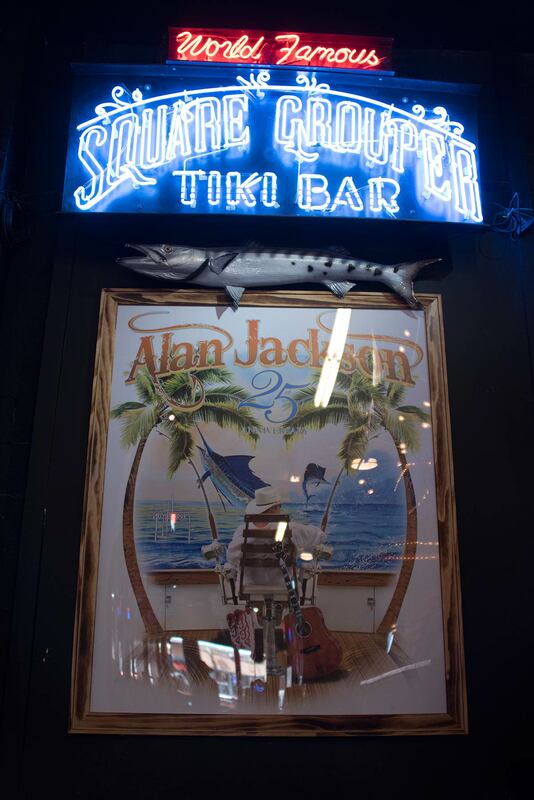 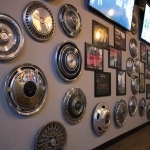 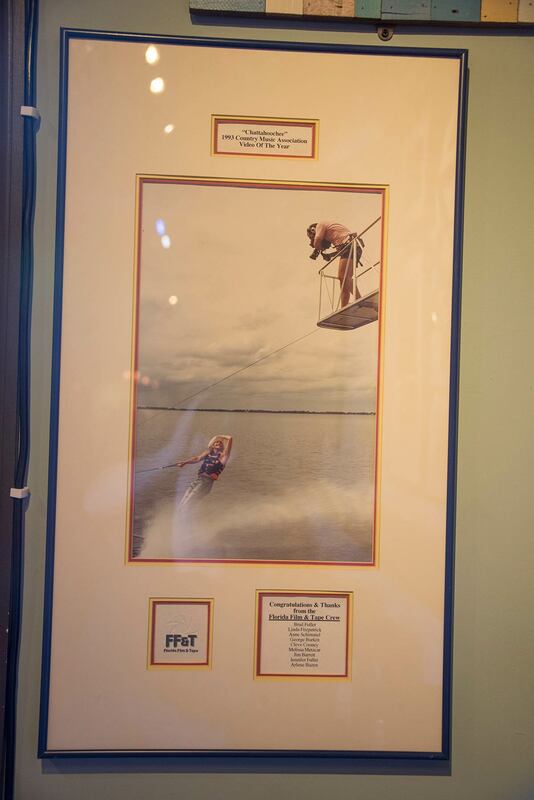 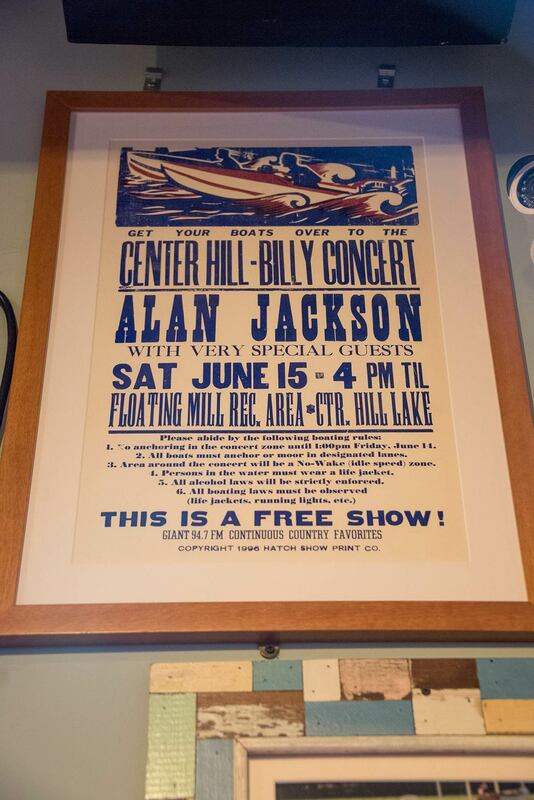 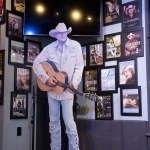 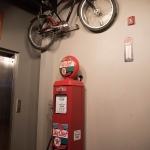 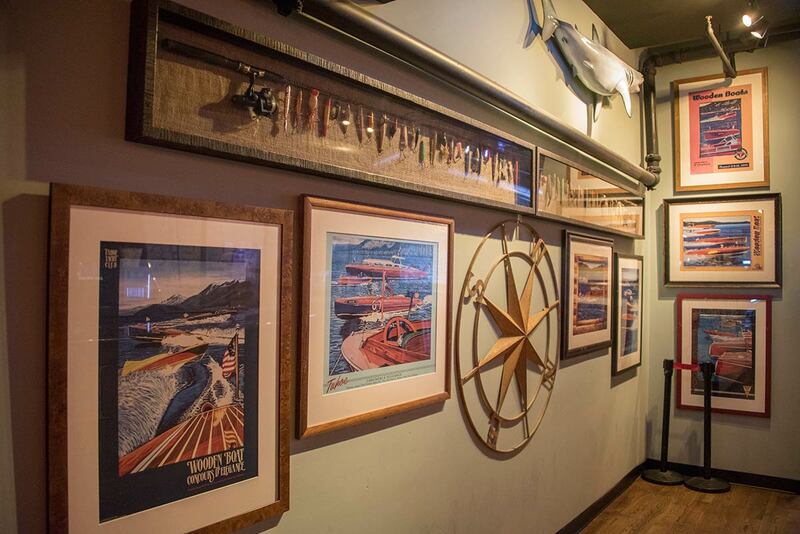 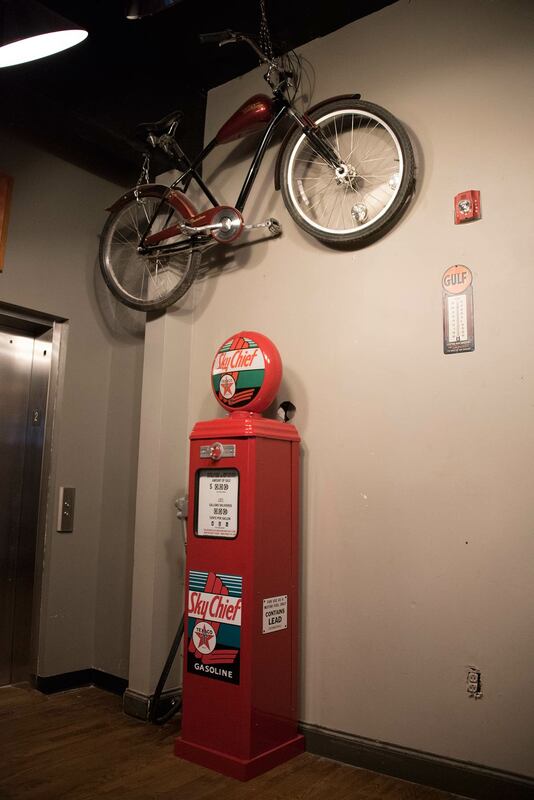 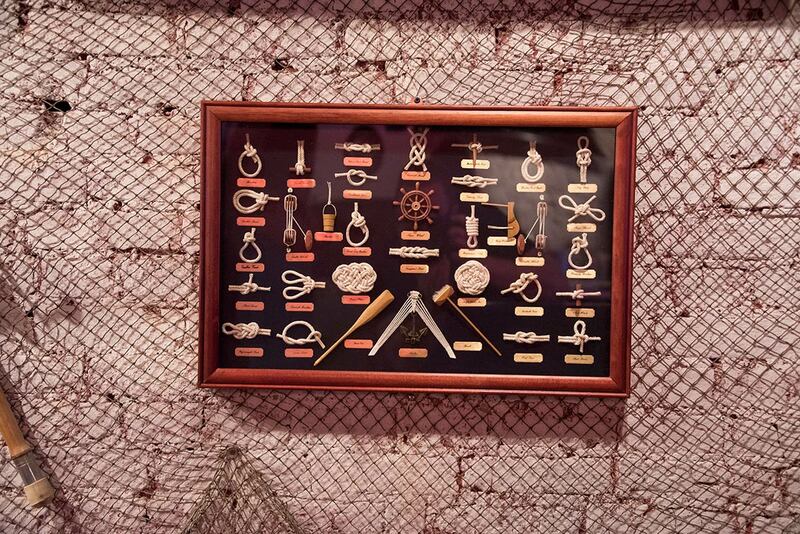 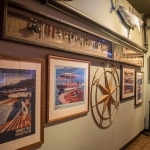 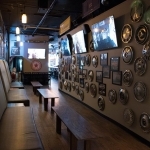 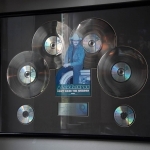 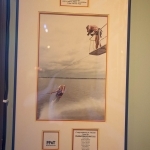 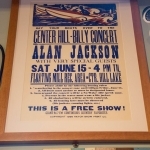 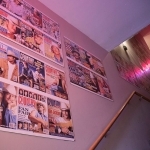 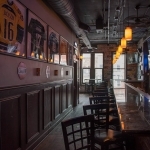 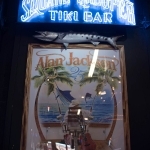 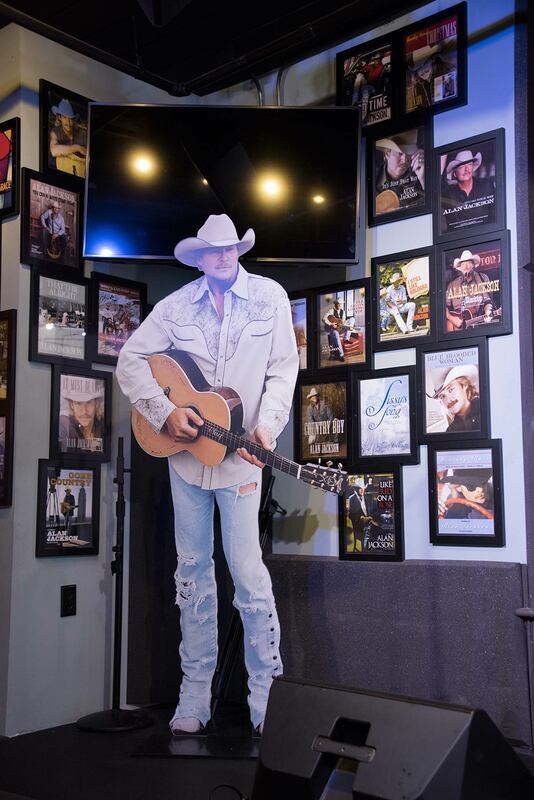 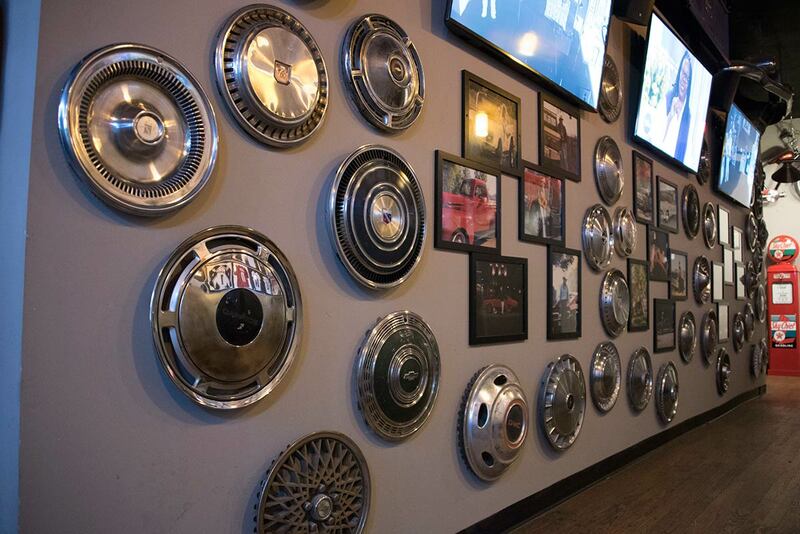 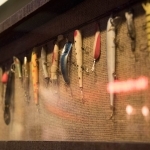 The venue also sports wall-to-wall memorabilia from throughout Alan’s career, televisions for watching the big games, stages for live performances and a karaoke bar. 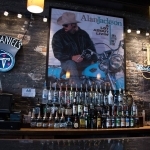 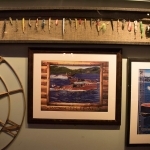 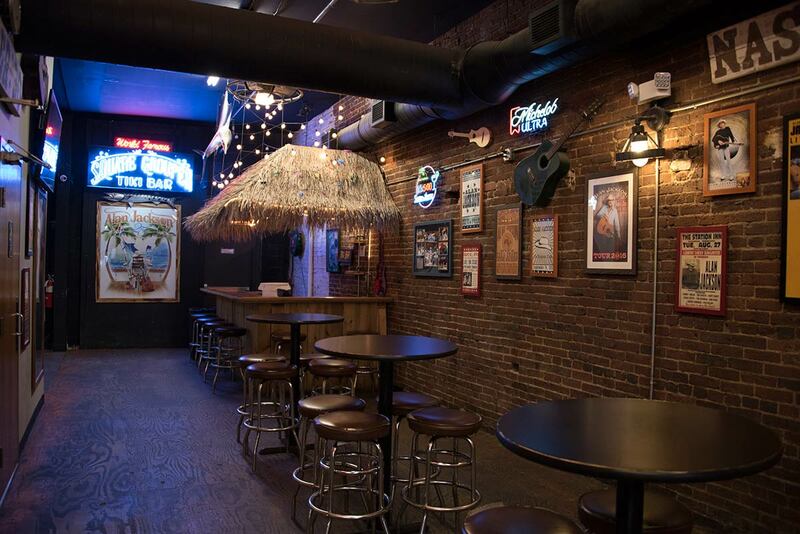 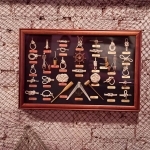 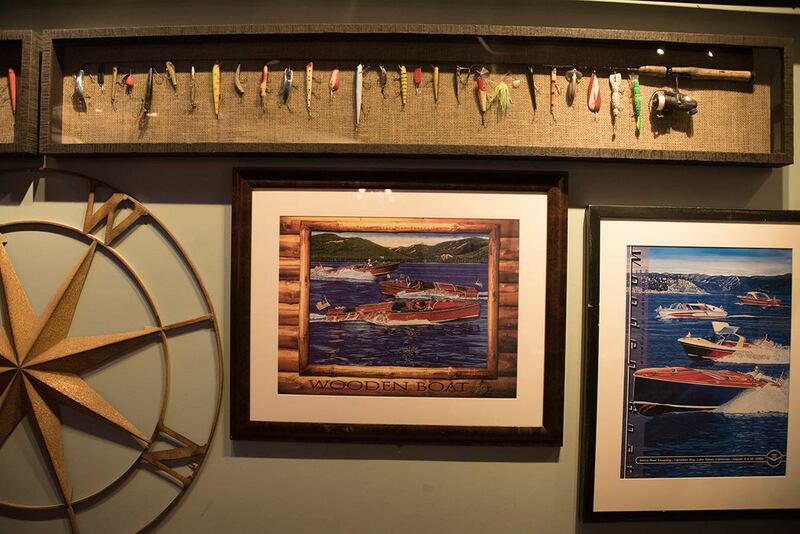 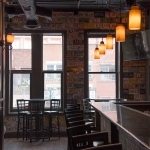 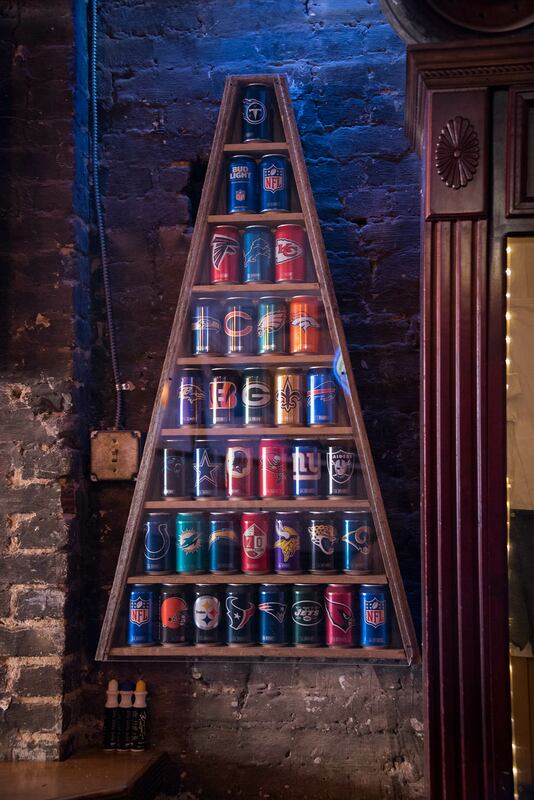 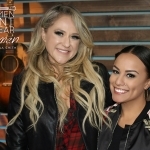 Take a look inside AJ’s Good Time Bar below (click the link if the gallery doesn’t appear below).